*As a blogger for Smiley360 I received complimentary items in exchange for an honest review & recipe. All views expressed are solely my own. I love making an ordinary weeknight dinner special. 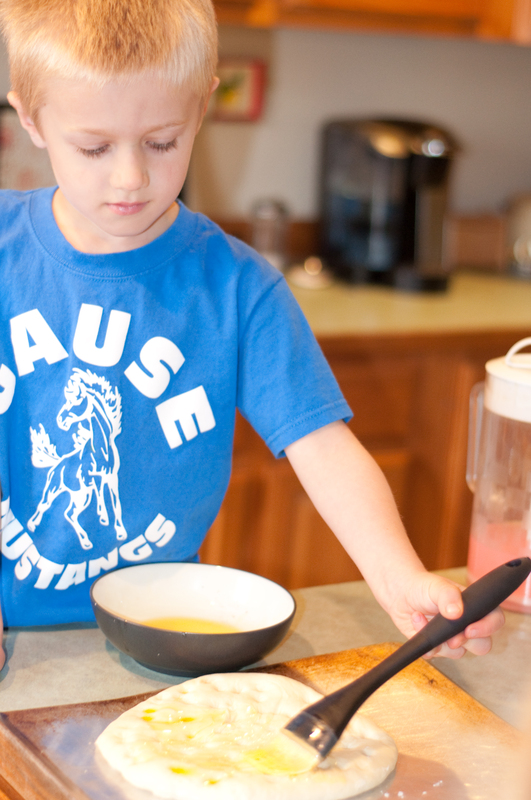 It’s fun to go the extra mile and put something a bit out of the ordinary on the table for your family. This week I am turning an everyday spaghetti dinner into a trip to a swanky little Italian bistro with this to-die-for focaccia bread. 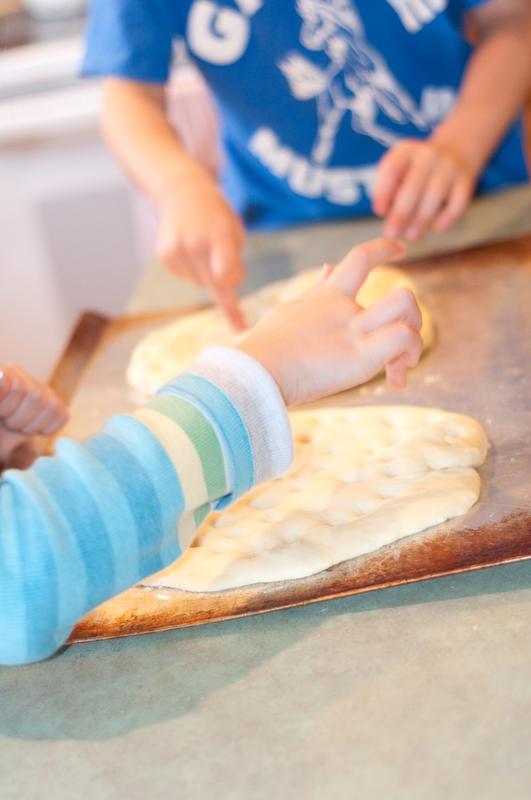 It’s so easy to make (yep, I just said a yeast bread was easy!) and transforms an average meal into something just a bit better. 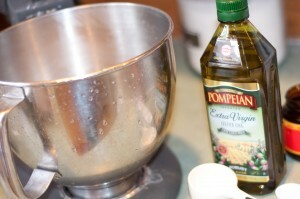 I got to try Pompeian Extra Virgin Olive Oil, and right away I knew I wanted to make focaccia bread for my family. It is the perfect canvas for this robust and delicious olive oil. Anyone who is even semi-serious about cooking needs to have a great bottle of olive oil in their kitchen cupboard. olives is produced by the first cold pressing, a centuries-old process still used today. The result is that premium Pompeian Extra Virgin Olive Oil is extremely low in acidity, which accounts for its robust taste and heady fragrance. This olive oil is perfect in homemade dressings and vinaigrettes, on salads, or used as a dip for fresh bread. 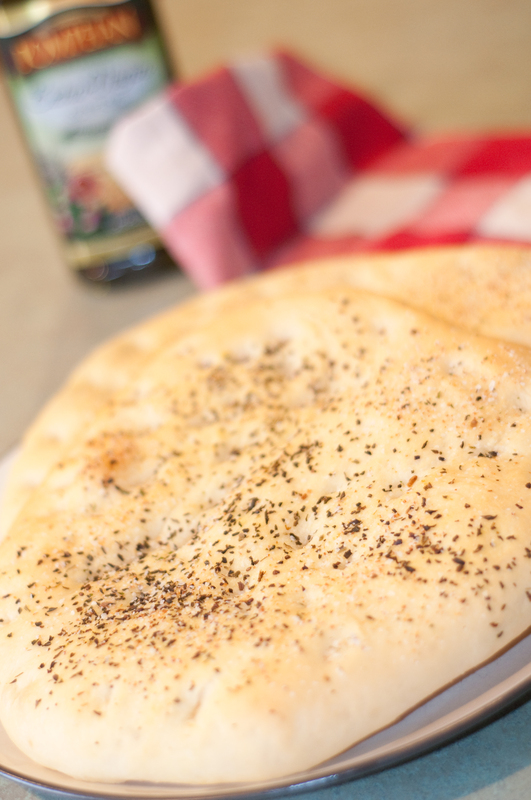 It’s wonderful on pizza crust, or in any of your Italian cooking. And if you try this recipe, I think you’ll see that it is perfect in this classic bread. Enjoy! 1. Mix 1 cup of the flour, the sugar, salt, and yeast in a large bowl. (I use my KitchenAid mixing bowl.) Add the olive oil and water. Beat on medium speed with the paddle attachment for 2-3 minutes. Stir in the remaining flour until a soft dough forms. 2. Knead the dough for 5-10 minutes. (I use the dough hook on my KitchenAid, but you can certainly knead by hand!) The dough should be smooth and elastic. 3. Place the dough in a greased bowl, turning once. Cover and let rise for 1-2 hours. The dough should double in size. 4. Heat your oven to 425 degrees. 5. Punch the dough down and divide in half. Shape each piece into a 10-12 inch round on a large cookie sheet. Let rise (covered) for about 20 minutes. This bread is such a nice change from traditional garlic bread. It stands alone, or can be served with a side of olive oil for dipping. Serve it with family-style spaghetti or alongside some nice cheese and your favorite wine at your next book club. Totally versatile and easier than you think to make! Stay Connected and Save Money! Take a short survey for the chance to win a $200 gift card! !